CELEBRATE WITH YOUR SPECIAL LOVED ONE! 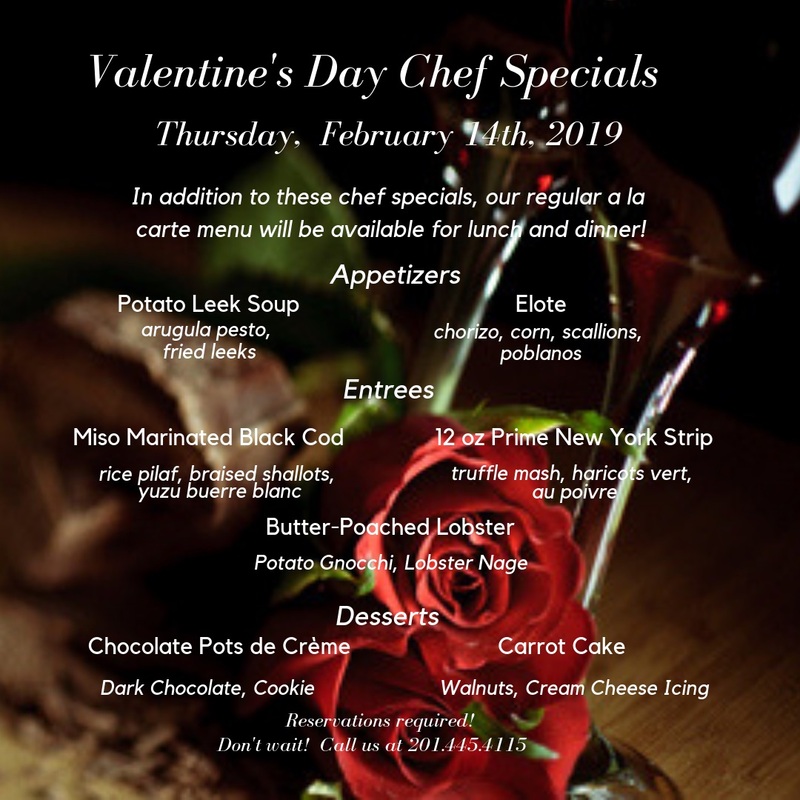 THE INN’S A LA CARTE MENU WILL BE AVAILABLE ON VALENTINE’S DAY FOR LUNCH AND DINNER, WITH CHEF’S VALENTINE’S DINNER SPECIALS, JUST FOR YOU AND YOUR VALENTINE! AND OF COURSE, COME SINGLE AND MINGLE WITH YOUR FRIENDS AND FAMILY TOO!